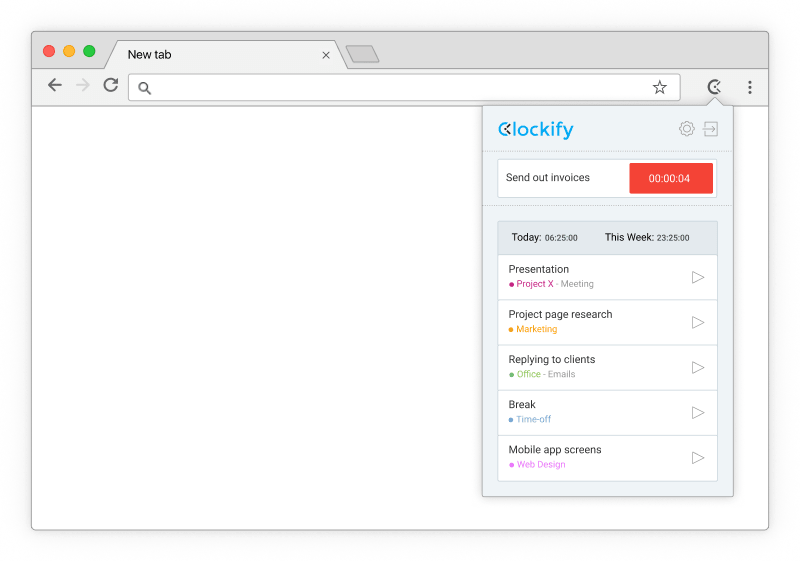 Clockify is a simple time tracker and timesheet app that lets you and your team track work hours on projects. 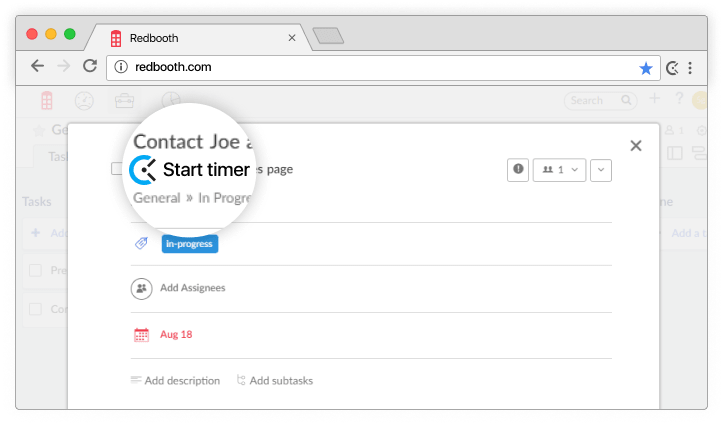 With the Chrome Extension, you can track time on tasks right from Redbooth with just one click. 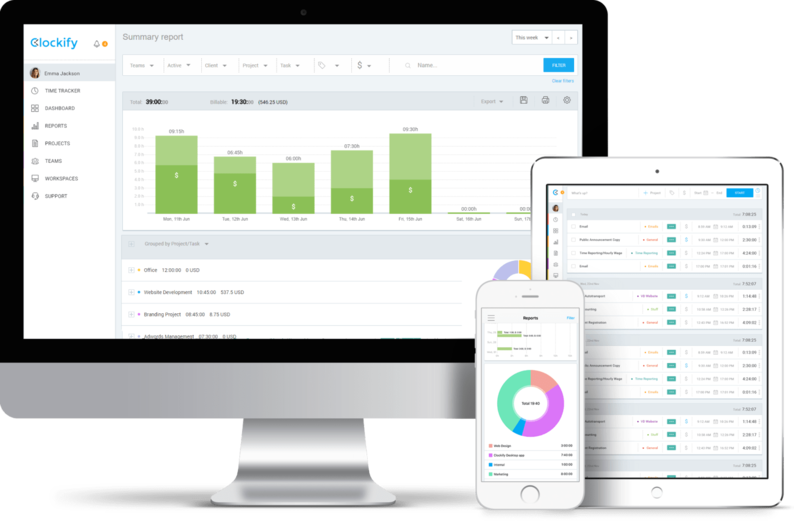 Later, run time reports in Clockify.